The Wilmington-Clinton County Chamber of Commerce is pleased to welcome Harry Snyder, President and CEO (Superintendent) of Great Oaks Career Campuses, as the keynote speaker at our 2019 Annual Meeting & Luncheon. 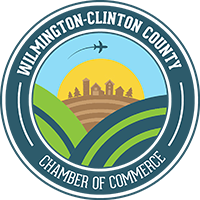 We are also excited to welcome students from Laurel Oaks and from Wilmington High School’s “Project Lead the Way” Engineering Class to our Annual Meeting to meet and mingle with our business community and provide educational displays of their programs and projects. Harry Snyder will discuss the role of Great Oaks Career Campuses in the community and as a force for economic development. He will emphasize the importance of partnerships with business in order to offer high-quality career education and training that prepares graduates for the current and future needs of the regional workforce. Harry will also detail plans regarding the future of Great Oaks’ fastest-growing campus, Laurel Oaks Career Campus in Wilmington, where a $25-30 million construction and renovation project will begin in June and provide space for students and new programs. The Annual Meeting is graciously sponsored by our Premium Sponsor, the Clinton County Convention and Visitor’s Bureau. For more than two decades Harry Snyder, President and CEO (Superintendent) of Great Oaks Career Campuses, has been committed to ensuring that youth and adults are prepared with the competitive skills necessary for economic growth. Because he understands that this means business and education working together, he has become a major voice in workforce training. In 2014, the Great Oaks Board of Directors named Harry its fifth President and CEO. He is responsible for four campuses and career training for over 19,000 youth and 18,000 adults from 36 school districts. Great Oaks is one of the largest career-technical school districts in the country. Under his leadership, Great Oaks has been named a Cincinnati Enquirer Top Workplace numerous times. Harry is a past and current Cincy Magazine Power 100 recipient. Harry was raised in Blanchester and has resided in Southwest Ohio his entire life. He currently lives outside of Batavia with his wife Janet and two daughters. Their son serves as a 1st Lieutenant in the Marine Corps. He is actively involved in several community organizations.